Every one of us thought about to start writing own applications for mobile devices. This is because mobile devices are becoming more and more popular and available, and now it's rare to meet a person who does not have a mobile phone. The market of mobile applications is growing all the time. We can say that it is divided into two main areas – android apps and iphone application. But where to start? This question is of concern to many of us. In fact, all is not as difficult as it seems. 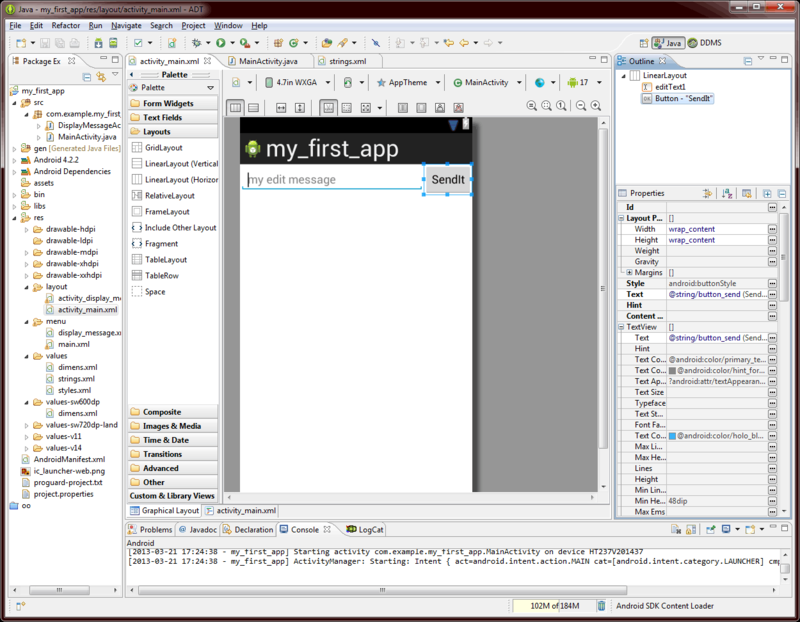 Today I’ll show you the basics of developing applications for Android and where to start. 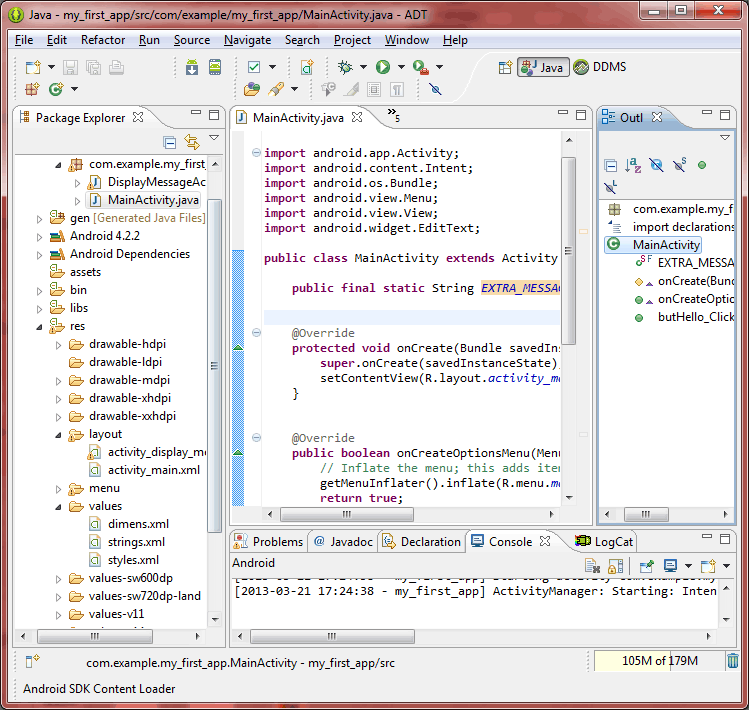 Download and unpack Android SDK (Eclipse + ADT plugin). Just download this huge package (it is a bit more than 400MB), and unpack it into a some suitable place on your computer (as example, c:\dev\ folder). Try to avoid using a very long folder name (which could be ‘adt-bundle-windows-x86_64-20130219′). 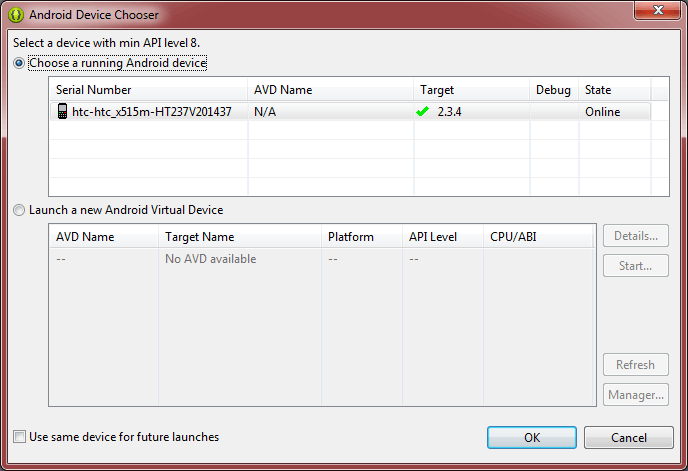 I can recommend you to rename this folder to a shorter version: ‘adt-bundle-windows’.